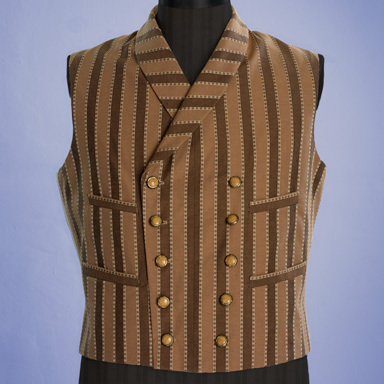 Our mid-century Waistcoat is double breasted with a straight bottom and shawl lapel. 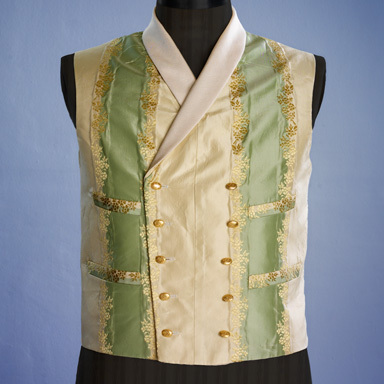 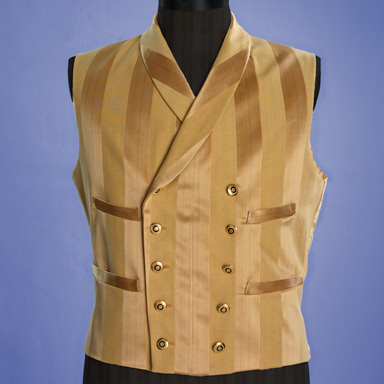 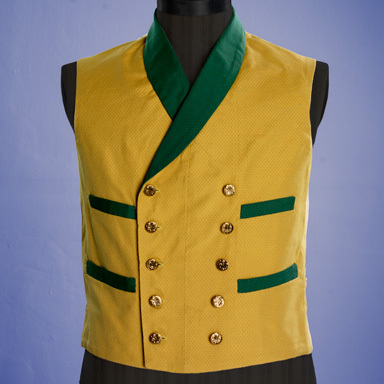 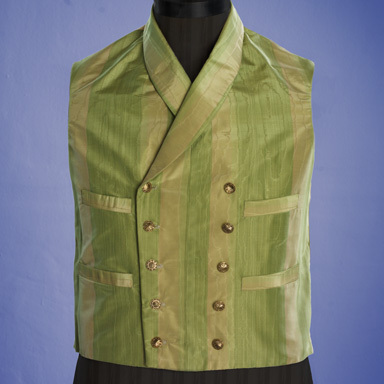 We make up our waistcoats in a variety of colours and fabrics. 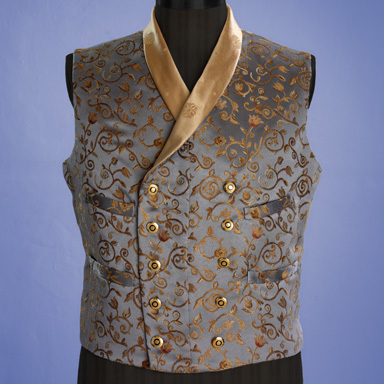 Some are made in a variety of sizes, while some are unique, one-of-a-kind creations. 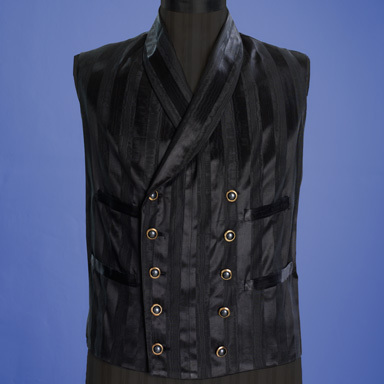 Please inquire about our current fabric selections. 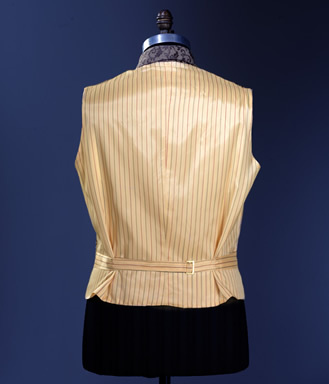 Also available in single breasted style. 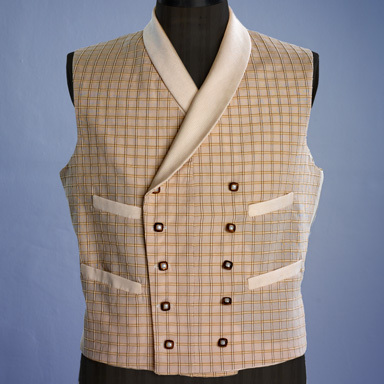 A variation of our mid-century Waistcoat, this single breasted style offers the same 4 pockets and shawl lapel. 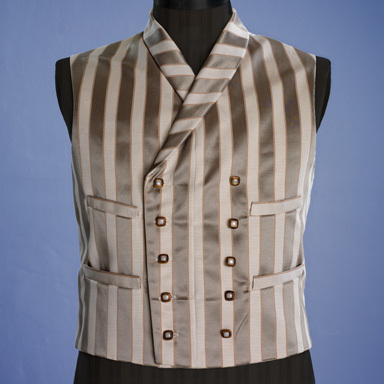 Our late 19th century Waistcoat with a scooped gorge, spoon lapels, and 2 outside pockets. 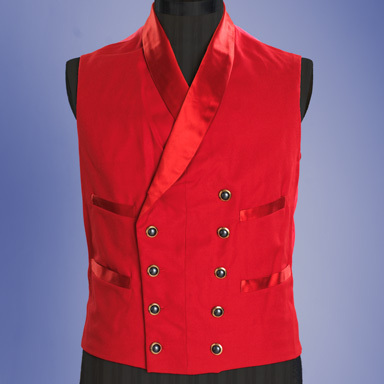 Usually made up in white, it can also be fashioned in black or in colors as well. 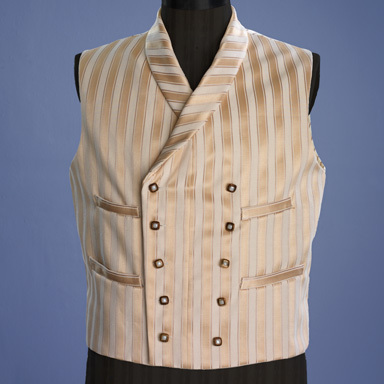 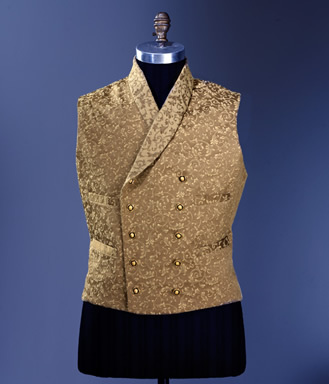 Our early 19th century, single breasted waistcoat has a tall standing collar, and 2 pockets. 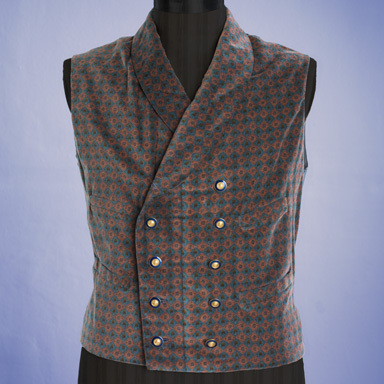 There are lacing tabs in the back for better shaping. 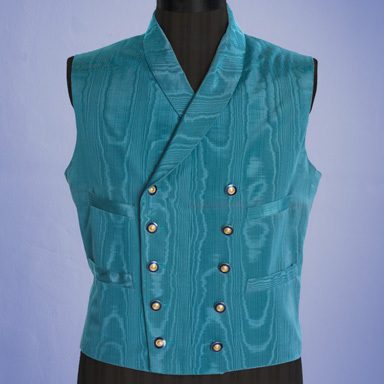 The top 3 button holes are intentionally left closed to better show off the wearer's neckwear. 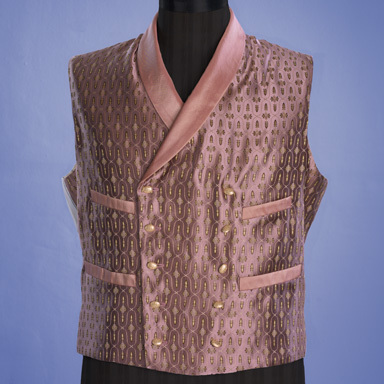 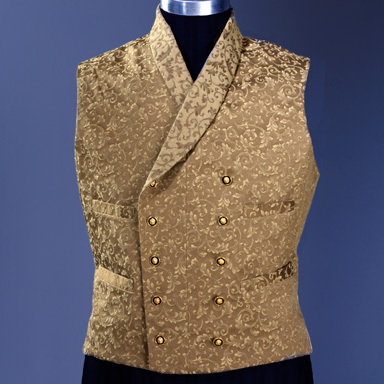 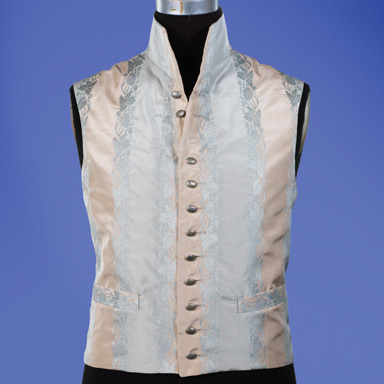 As our Regency Waistcoat is often made of fancier silks, the price may vary.